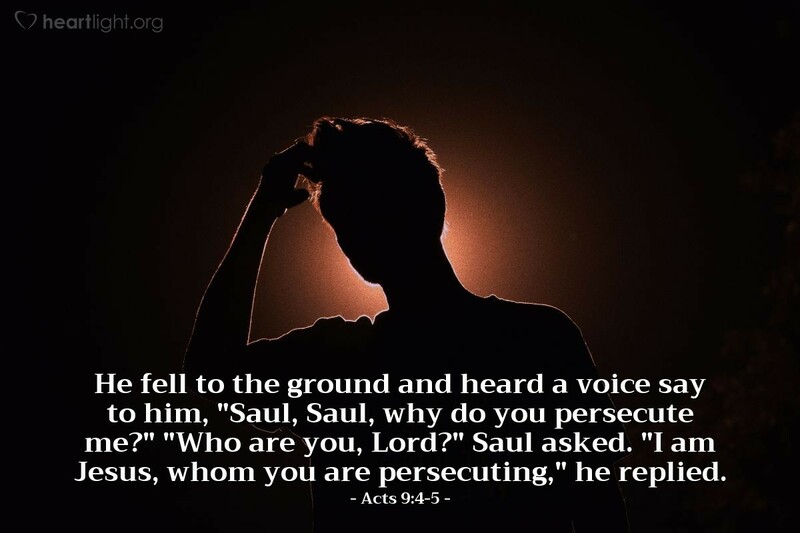 He fell to the ground and heard a voice say to him, "Saul, Saul, why do you persecute me?" "Who are you, Lord?" Saul asked. "I am Jesus, whom you are persecuting," he replied. When Paul teaches that the Church is the Body of Christ, he isn't being theoretical. The Church is Jesus' presence, his Body in this world. What is done to the Church as a collective group of people is done to Jesus. What is done to individual Christians is done to their Savior. Jesus is present in the world through us! The saying is true: the only Jesus many will see today is the Jesus they see through you and me.